How to mix colors, and not get mud! The best course available. How to mix colors, and truly master your palette with this color course. How to mix colors, one of the most difficult things for most artists working in any medium. I talk about color on several sections of the site, but really, this just scratches the surface. Lets face it, there are thousands of books in libraries on the subject. The problem I have found in most "How to" books, the information is either out dated, or worse - so boring you lose interest quickly! Welcome to a breath of fresh air! and some very good art instruction on this very complex subject. I've been fortunate to review an entire video course that has both video, lesson notes, exercises, demonstrations and tools to use to help you grasp this subject. And it keeps your interest level high and engaged! Let me just say right off, you will be a better artist for this course. And yes, I do get a bit of a commission if you purchase it through me. Even if I didn't, I would promote it. Why? It's just that good. I use it in my own paintings. You see, one of my greatest fears when looking at a blank canvas is not so much the "what to paint" but rather "how to get there!" Over the years I've developed my own system in that I keep a fairly extensive journal. It includes steps that I use to accomplish certain tasks within a painting. Because of these notes, I HAVE NO FEAR! If I'm unsure about how to get there, I review my notes. This course has eliminated one of the fears, how to mix my colors. I now have a systematic approach at achieving my goal of painting a thing of beauty. Mixing and matching the colors I see in my setup, photograph, or still life doesn't leave me with any anxiety. Only peace and joy, because I know how to get there and I merely enjoy the process! The course covers so much in how to mix colors, paint color combinations, and more great color mixing charts than you can shake a stick at. Let me tell you just a little about what I found in this course. The Best Color Course on the market. Show you how to brighten your paintings as if kissed by sunlight! Create that ROMANTIC, misty, foggy mood in that landscape. How to use color in your painting to give it that extra punch only found in professionals work. Place on your palette color harmonies that never fail! How to mix colors with Richard Robinson's Course "Mastering Color"
This chapter starts off in explaining how and why the course was developed. Because of the many workshops he has done, his number one problem that students would want answered were how to mix colors. And as he developed his courses, was able to see and observe with his own eyes a students worry and fear turn to a joy and adventure when addressing color. He then moves straight into the history of color theory and summarizes this in a very understandable way . Not your usual boring color theory and art history books that are collecting dust throughout the world's libraries. Video makes this chapter and sometimes difficult subject really come alive! It's also the chapter that you can download for a preview of the course! For free! Download the free chapter now to get an idea! A great description of how our anatomy works in relation to colors. How our eyes and brain conceive color and how different forms of lighting have such an effect on what you see versus what is actually there. It shows how color changes depending on it’s surrounding colors and light, and how great artists of the past have shown us techniques to be able to accurately determine color when we are viewing our subject matter. There are things in this chapter you will not believe until you see them. But he shows you how your eyes can really play tricks on you when it comes to color. Have you figured out the relationship between "A" and "B" yet? If you think they are different colors, you'll have to look again. They are the same color! Sometimes seeing is not believing. Get this how to mix colors course to see why! Still don't believe me? Take a piece of paper and cut out 2 holes that line up with the A and B on the cube. If your fingers are the right size, you can just cover the surrounding squares with them so that only the A/B squares show through. In this way, you only see the two squares and not the surrounding colors. I'm amazed at this! You'll be amazed too! Order yours now! Richard explains how to work your way through the maze of describing color. With so many terms being used today for color, (shade, tint, saturation, intensity, chroma, luminance, brightness, purity, brilliance just to name a few). He narrows these down to tone, tint and shade in describing color harmony and balance within your painting (and the special formula to use in creating it, and it is Brilliant!) He also discusses the Munsell color system in how to mix colors, but in terms that we all can quickly grasp. Some great graphics are used in describing how we can describe color in a very reasonable way. Hue, Value and Chroma, their definitions and how we use these in analyzing color. He also shows a great tool (a color checker/tester shown below) that is included in the lesson in helping you analyze color so that you can match it exactly within your painting. Something that I preach on my site, when you get this right, your painting will succeed. A great exercise and tools are presented to make this step easy! I like easy. The cut out's that are used are excellent props! These are printed out and folded cubes of various colors and values of gray. The use of his color checker, and value scale are shown in actual use while painting. Having an actual video of this does so much better than a printed version. A great demonstration. A super explanation of colors, and the numerous color wheels available. He gives a web address of one of the best color wheels, and the matching paint name available today. It’s one that will soon be on my wall along with the rest of my quick reference charts. I won’t reveal it here though, you gotta get the course. It’s surprising how close his actual working palette is in reference to what I actually use in my painting! So this is another thumbs up from me! In this chapter of how to mix colors he gives a very good explanation of color behavior, both on the palette and the canvas. How they behave straight from the tube, to when you mix them. The biggest gold nugget in this course... I know, I use it all the time. He also gives a step by step procedure in how to match a color. This five step process is a invaluable tool. This alone is probably worth the entire course. He doesn’t just talk about the steps, he shows them in a demonstration with cube studies, and includes all his struggles to match a set of colors from his subject to the canvas! So stop struggling yourself. Invest in yourself and get the instruction you need. An explanation of low key, and high key paintings. High chroma verses low chroma paintings. The moods and excitement that can be created within them. How to mix colors and gray that will change the mood of your painting, and the use of gray to change the focal point within your work. He also talks about halftones, and how to create them to create form within your paintings. Using the cylinder studies with cylinders you create are a perfect way to learn this concept. The Cylinders, cubes, color checking tool, and value scale are all included within the downloads, you print these out and put them together using photo paper. Another great demonstration shows you step by step how to blend a round object! This is a super example for beginners and intermediate artists. And something that is difficult to show with just pictures. Here, Richard talks about the many different color harmony techniques/theories. He helps you understand a few methods starting with limited palette through more advanced color schemes and theories. This lesson also includes some great color wheel tools. Richard talks about brush stroke techniques here. Excellent demonstrations show you how to make smooth transitions for use in your paintings. Subjects include wet in wet, glazing, scumbling, and rubbing back. Richard also talks about new materials available to the artist. This was very exciting to me, because I get a great deal of emails concerning oil/solvents and safety. These new materials act just like oils, but are acrylic. They are especially suited for folks that can’t be exposed to solvents and oil paints, but want the paint to act, feel and look like oils. The most exciting part of this chapter is capturing the “Glowing Effect” that you see in some powerful paintings. If you're not sure what this is, then, look at some of the Hudson River School of luminous painters, or paintings created by Turner. There is a glowing aspect within the work that some artists never achieve. Now, you can learn these secrets! See this painting below, it is a direct result of some of Richards teachings on using color contrasts and atmospheric perspective. Now, who should NOT buy this course. If you are one of these people that will read or watch an instructional video, and not put any effort in doing the exercises, well, you get out what you put into anything, and that includes this course on how to mix colors. If you don't practice the exercises, you will not cement the information into your head and studio practices of how to mix colors. Once you've completed a chapter, go straight to your studio or painting place and put into practice what you've just learned by doing the exercises. This will reinforce the information into your brain and will help make the information become second nature to you when you are working on a real painting. Heck, some of the exercises, you will end up showing and possibly selling as finished pieces of art. If you intend to just watch it, and then just put it on the shelf expecting the knowledge to burst forth during your next painting session, well, maybe it's not for you. You need to try the demonstrations, as this is where the true learning takes place. And you'll truly know how to mix colors with no fear or apprehension! "This is a top ranking colour course that covers all of the main points with clarity and straight talk. It's practical and down to earth and easy to understand. 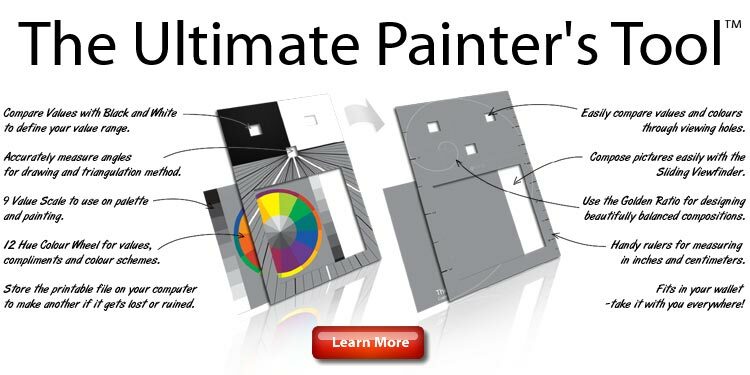 The mind boggles when I think of how many painters can use this video." Note: Robert Genn's work is well known internationally and he is recognized as one of Canada's most accomplished painters. "I must congratulate you on your series about colour. As you know I have been down the road for many years and I am still learning, and always will. You are approaching the matter out of a completely different angle to all the others I have seen and learned from. Absolutely brilliant!" Note: Dennis has over 60 years of drawing and painting experience behind him. 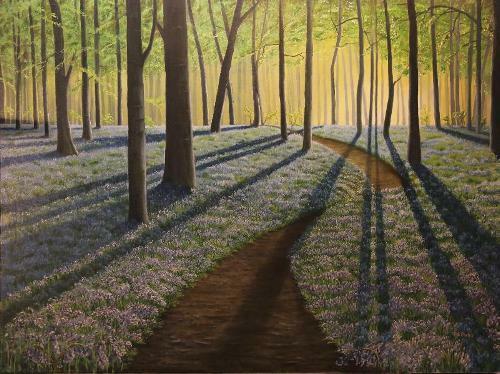 He has also been teaching people of all ages to paint in various mediums for over 23 years. I learned more about color in the first two chapters than 2 college courses I have taken." "Richard: Thanks. I received the DVD Mastering Color and spent the whole afternoon looking at it. It is really a terrific learning tool. Also, the other DVD's you sent were so good. I learned a lot from them which is what I need. I never went to art school but have been painting for 45 years. I will never hang in a museum but a lot of people like what I do. Just wanted to let you know how pleased I am with your lessons." "I'm watching very carefully your videos and enjoying them a lot! I have studied art and have had many teachers that where very good artists but for my bad luck where very bad teachers... Instead your way of is teaching is very good! very clear and easy to understand, so I think you well deserve the Italian title of "Maestro"! I really love colour theory it is a big part of why I paint, and the tonal quality of your works is fantastic! it really was a surprise finding your work on the net and you have quickly become one of my favorite modern landscape painters. Looking forward to seeing new paintings and dvds from you, all the best." Just wanted you to know the course downloaded right away and I have watched everything once and some parts twice. Some of these things have been explained to me many times and my head was still spinning. I can honestly say you are pulling it all together for me. I have a Bachelor of Arts degree from the University of Washington in Seattle. Since then I have studied with three master painters, have been juried into regional, national and international exhibitions. Even so, I know when my work hits the mark I want and when it doesn't. When my work is off, I know it is color relationships that are bothering me. However, I often am not quite sure how to "fix" them. Your course is looking like the best "next step."